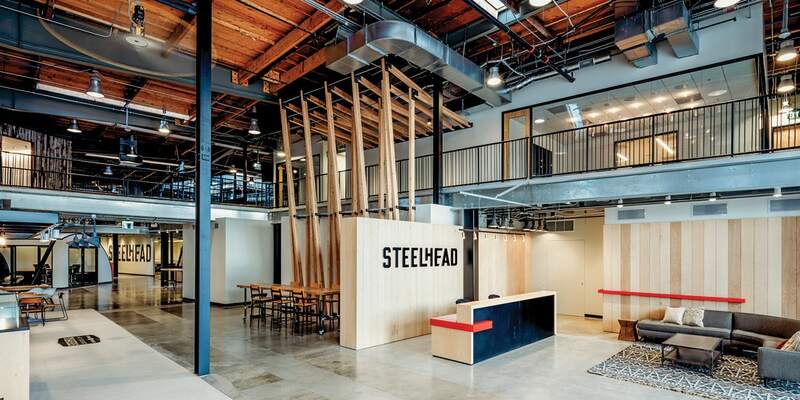 Steelhead, which started as Deutsch’s in-house production division, hosted Eminem’s album release campaign in 2017 and filmed two episodes of Modern Family this year. Notably absent from this list was the work of traditional creative agencies like the ones Sorrell acquired via hostile takeover some three decades ago. The ex-WPP CEO’s $350 million purchase of digital production company MediaMonks, which forms the core of his new business, signaled a potential industry-wide shift as marketers place greater value on the production and postproduction work that turns a concept into a campaign. “There’s absolutely no question that, over the last several years, more agencies and holding companies have been setting up production divisions,” said Dustin Callif, managing partner at Tool of North America. Many compete directly with their third-party production partners for business as clients spend less on broadcast campaigns. 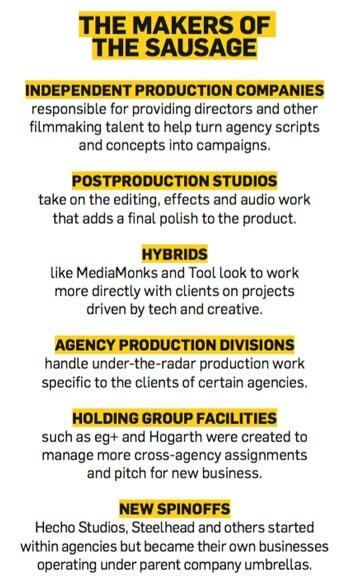 At the same time, these agencies’ actions have drawn the ire of some production company executives who believe they may be using unethical methods to win bids. They even led the Department of Justice to launch an investigation into potentially illegal practices in 2016. Santa Monica’s Tool of North America has recently worked on direct-to-client projects for Celebrity Cruises, Google and IBM. 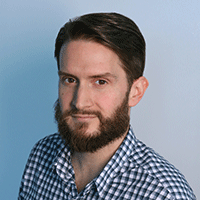 Those efforts initially failed due to an inability to secure directorial talent, according to Miller, but in recent years the trend has turned into a race to meet client demands for faster, cheaper, more ephemeral content. The past 12 months alone have seen Deutsch (Steelhead), 72andSunny (Hecho Studios) and Anomaly (Unreasonable Studios) spin their production departments off into separate businesses. 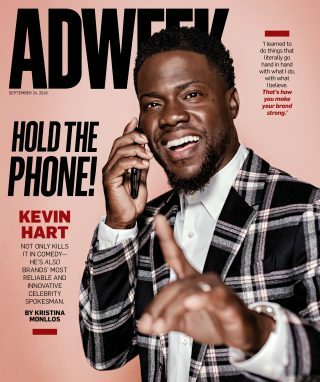 On the holding company level, WPP’s decade-old Hogarth recently announced a global partnership with Ogilvy and Grey, which officially launched its own Townhouse unit in 2016, while Publicis Groupe’s Prodigious and Omnicom’s eg+ celebrated their fourth anniversaries. This shift also followed The Wall Street Journal’s reporting about the DoJ investigation into the practice of “bid rigging,” by which agencies allegedly act as both buyers and sellers of production services. According to the reports, these companies beat out other bidders by either asking them to share their budget proposals in exchange for later favors or disguising in-house production teams as outside vendors competing in three-party “triple bids” designed to ensure an equal playing field. News of the DoJ’s involvement put the industry on high alert and led to changes in standard contracts. But according to one party with knowledge of the matter, the case remains open more than a year after the last contacts between federal investigators and holding company legal teams. A subsequent report by the Association of National Advertisers appeared to confirm years of anti-competitive practices, and AICE, which merged with AICP in 2017, went so far as to shame agencies with a video suggesting their award shelves would be bare if not for their postproduction partners. WPP, Omnicom, Publicis and IPG, all of which were subpoenaed by the DoJ, declined to comment—as did spokespeople for the U.S. Department of Public Affairs and K2 Intelligence, the firm that reportedly played a key role in the investigation. Production leaders question how much has changed. “You have to do lots of digging on these jobs to find out who you’re up against,” said Humble managing director Rich Pring. “It’s really about trust,” added Jason Mayo, managing director of Humble’s postproduction sibling Postal. Other operations remain somewhat opaque. For example, little-known Studio6 is part of the Havas organization, with teams embedded in five offices. But the only direct mention of the production company comes in a 2015 Medium post. Deutsch chairman and CEO Mike Sheldon said Steelhead avoids any perception of conflict by requiring clients to sign a “single-bid letter” and thus won’t pitch against independent production companies. “We don’t have direct competitors,” he added.